The Owen J. Roberts Education Foundation will present Distinguished Alumni Awards to Richard G. Wells and Elizabeth J. Wells on December 21st at the Holiday Band/Orchestra Concert at OJR High School. 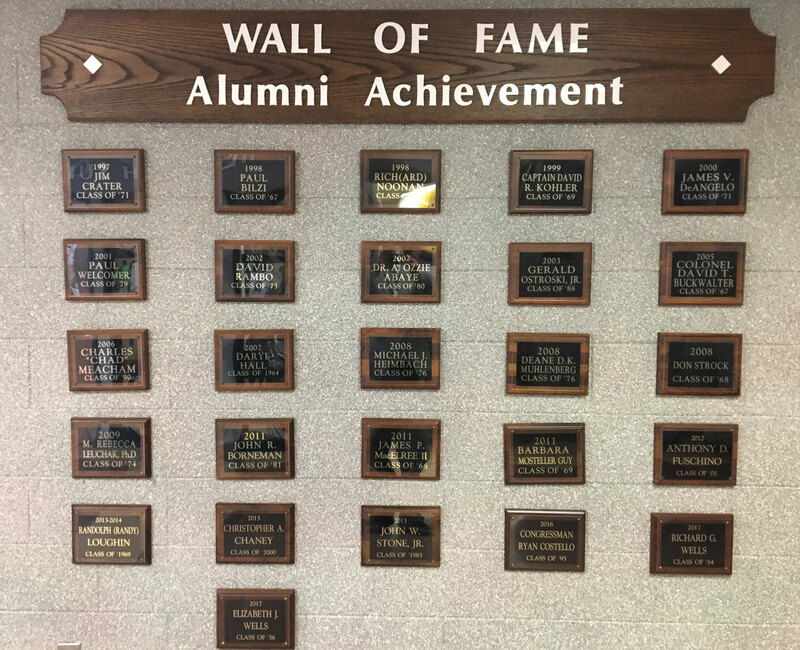 This award is given annually to honor Owen J Roberts’s alumni who enhance the quality of life by preserving, promoting and carrying out positive and quantifiable traditional values and traits. Richard and Elizabeth have dedicated their professional careers to education. Mr. Wells, Class of 1954, was the OJR High School Band Director from 1961 to 1968. He developed a love of music early in life. He was a trumpet player and formed his own jazz band in high school. He was band director with the Kutztown Area Schools prior to coming to OJR as the Band Director in 1961. In 1968 he was named an associate professor in the Department of Music at Kutztown University. In 1997 after 29 years of teaching he retired and was named professor emeritus. Richard is credited with establishing the jazz studies program at KU and he continues to direct the alumni jazz ensembles. The large ensemble rehearsal space at Kutztown University was named Richard G. Wells Music Rehearsal Hall in 2013 as part of a $20 million renovation and expansion of Schaeffer Auditorium. KU alumni, students, faculty and staff raised more than $500,000 to honor Wells with the naming rights. a major in Social Studies, Elizabeth began her career as an English teacher at Pottstown Junior High and later taught many high school social studies courses. Although she taught many different courses, she concentrated on American History and American Government. While serving as Chairman of the Social Studies Department, her students took a number of the top History Day Awards. After forty years in the classroom, she retired in 2000. Through the years, Mr. and Mrs. Wells have influenced scores of student to aspire for excellence in all they do. They remain committed to supporting students in various educational programs. Richard and Elizabeth Wells created the Instrumental Music Scholarship Fund. Scholarships are awarded during the annual commencement exercises at Owen J. Roberts High School.